For the last 3 or 4 years I have enjoyed making Christmas decorations to give to various friends and family. 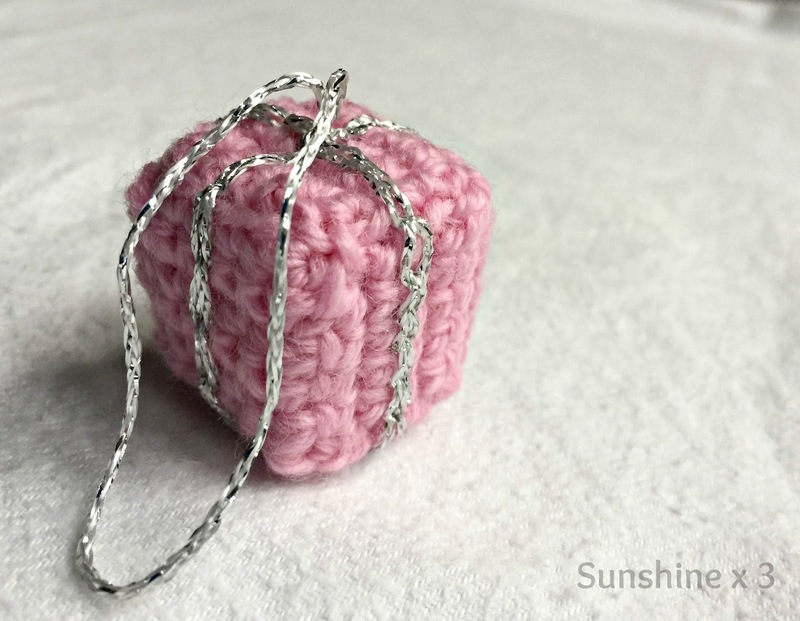 There have been baubles, mushrooms and Christmas trees... and this year... little gift boxes! You are basically creating 6 continuous box faces, of a similar size, that should meet and join together nicely. To start, chain 6. 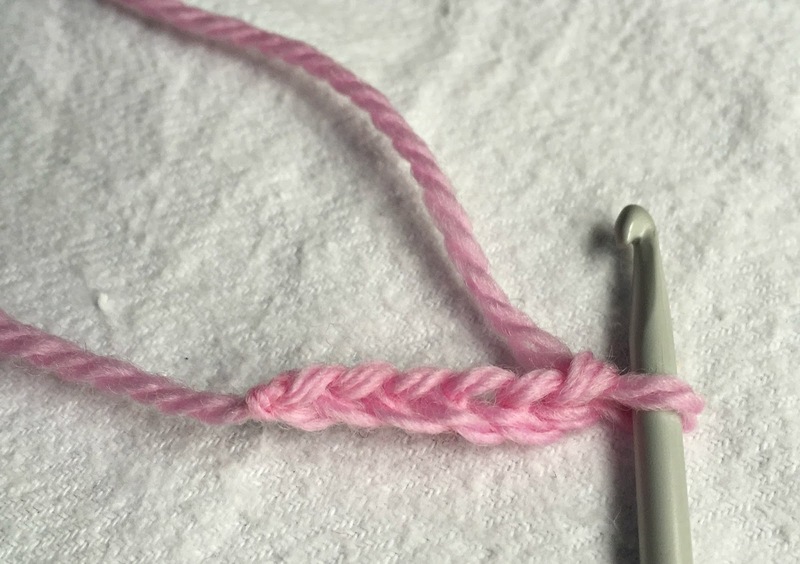 Starting in the second chain from the hook, single crochet (sc) 5 to the end. Chain 1 and turn. Complete 5 more rows (5sc across each). In the next row, only sc into the back v's of the previous row. This will create a line, like the edge of a box! Continue working 5 more normal sc rows. Then, again, work another row into the back v's only. Continue working 5 more normal sc rows thereafter. Your first piece should look similar to this. One continuous piece that has three sections marked by the wee lines (they can be a bit hard to spot). If you want, you can create another piece exactly like this one and simply join the two by hand. 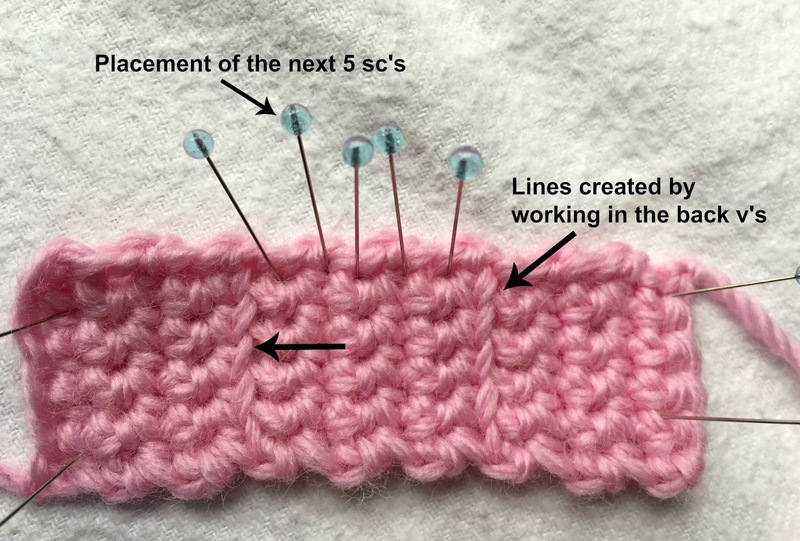 After the initial row, continue to work 5 more normal sc rows. Tie off your work. It would be prudent to leave another longish tail. This picture shows you where all your lines should show and the star indicates where the joining starts. 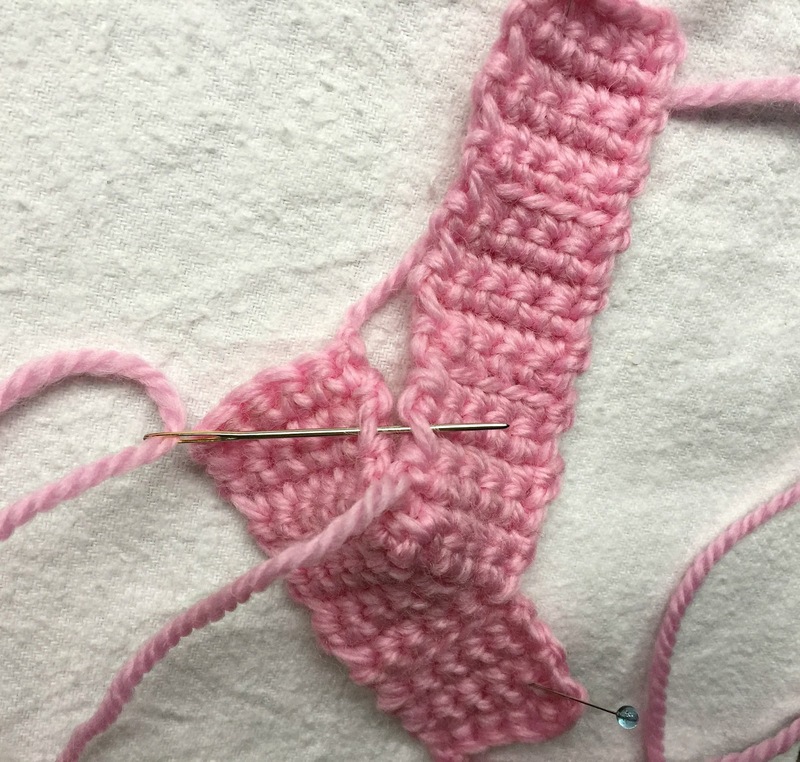 Grab your large wool needle and, using the long "corner" tail you left, start joining the sides together. Line up the edge of the short side with the first line of the long side to guide the positioning. 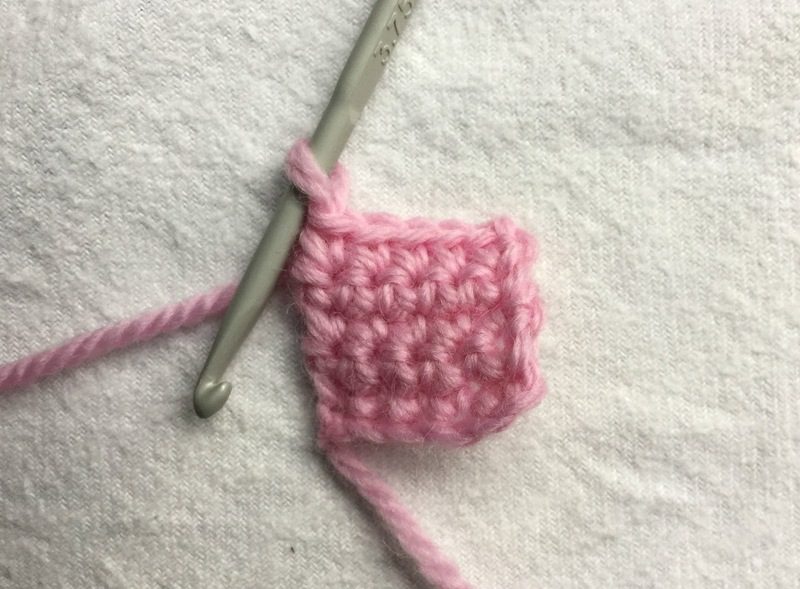 Continue working around the sides to create the box shape. 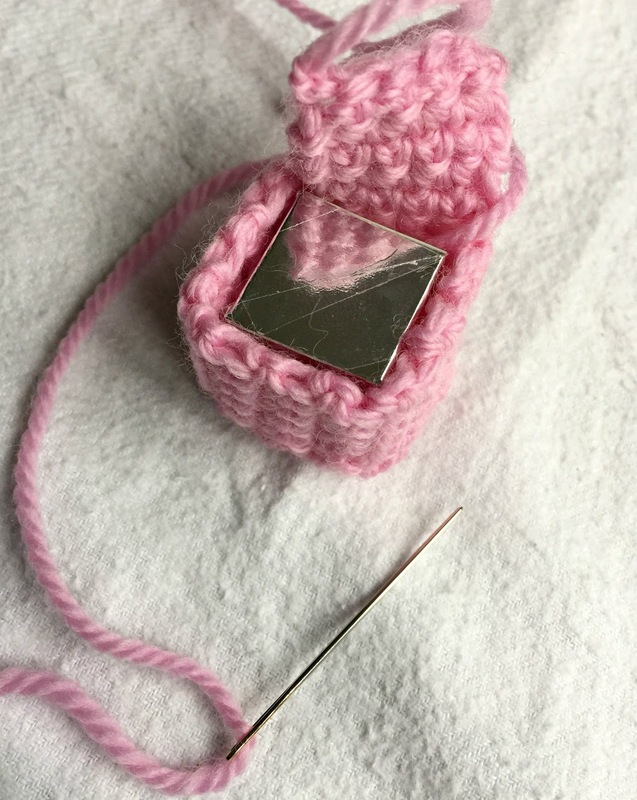 Before you sew up the last face, you will need to pop a wee box inside to help it keep shape. To make the box: Draw a shape (as shown below) on a piece of card. The sides of each face measures 2cm. 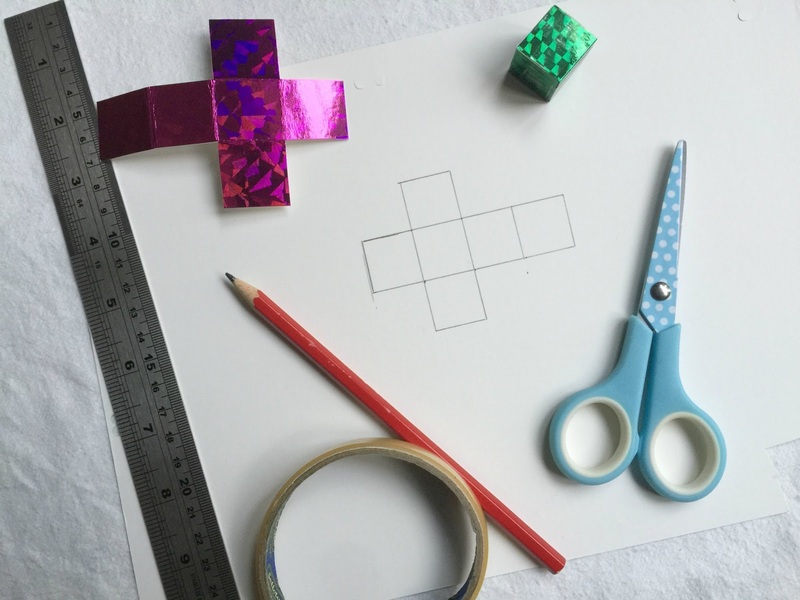 Cut your shape out and stick the sides together to form a box with cellotape. Once you've popped your little box inside the cover, continue stitching up the edges to join all sides. Now, if you like, you can just tie some string around it, decorate, add a loop for hanging... whatever takes your fancy. 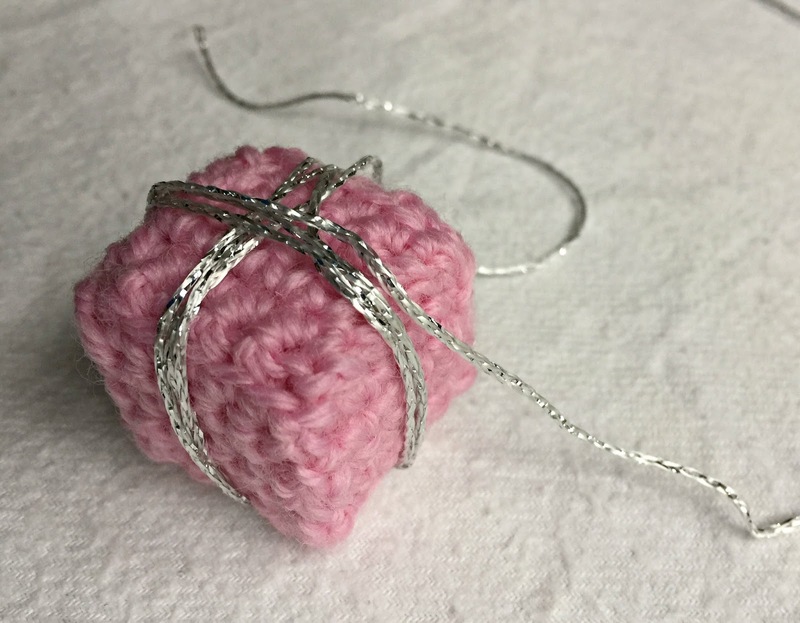 Measure out some contrasting/metallic yarn. 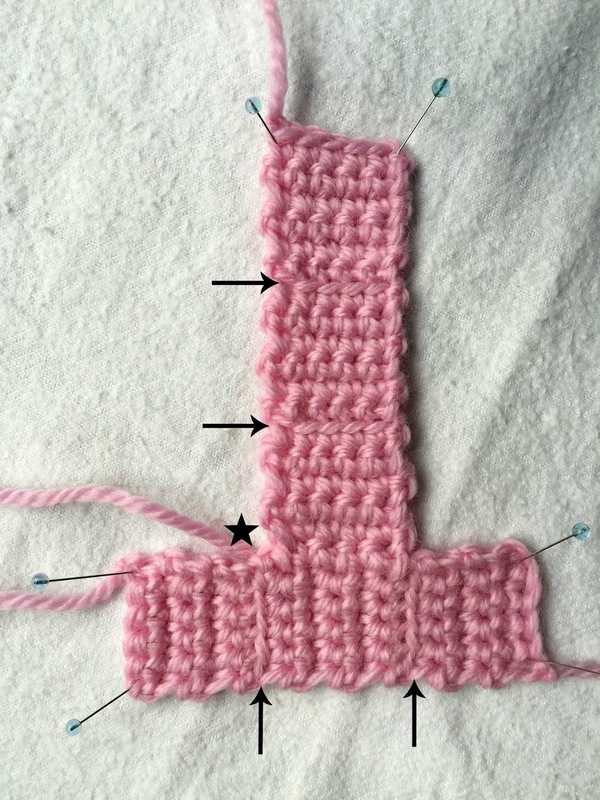 For this stitch I "measured" a piece by wrapping it around the box three or four times and left a long long tail. See the picture below. 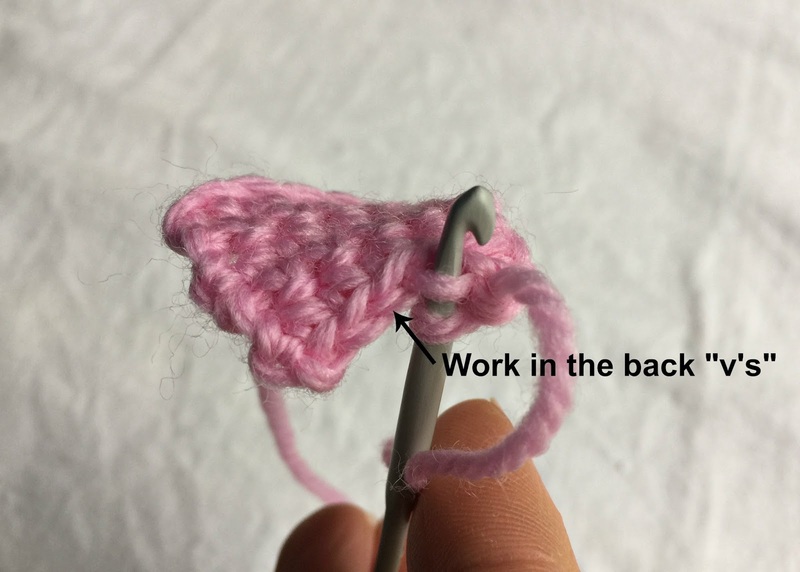 When you get back to the beginning, tie it off but leave the long tail and create a loop for hanging. Make sure to fasten off and "hide" your ends when you are done. Hopefully that mostly made sense. If something isn't clear or you get stuck - please just sing out and I will try my best to help! These are just so cute. What a generous person you are to supply a tutorial, they look deceptively time-consuming to make?! 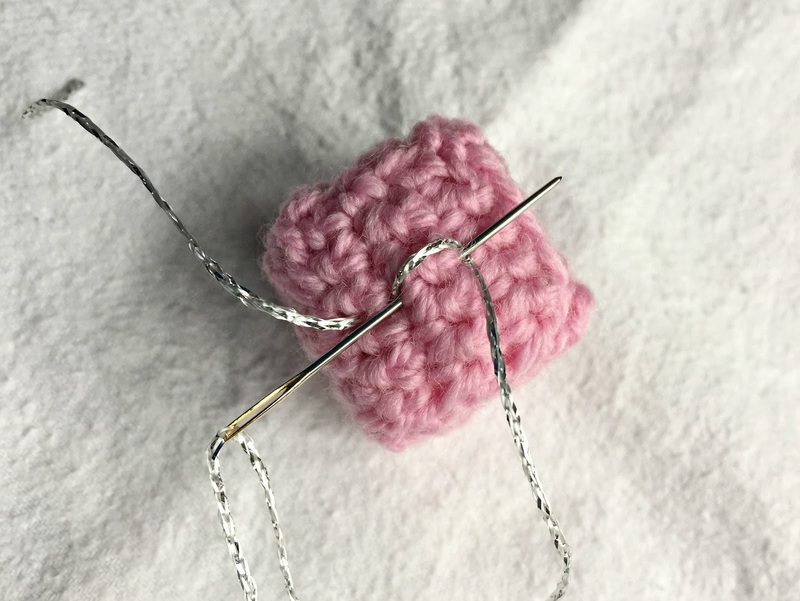 Just had a look on your Etsy shop - do you plan to sell some readymades for the non-crocheters out there? 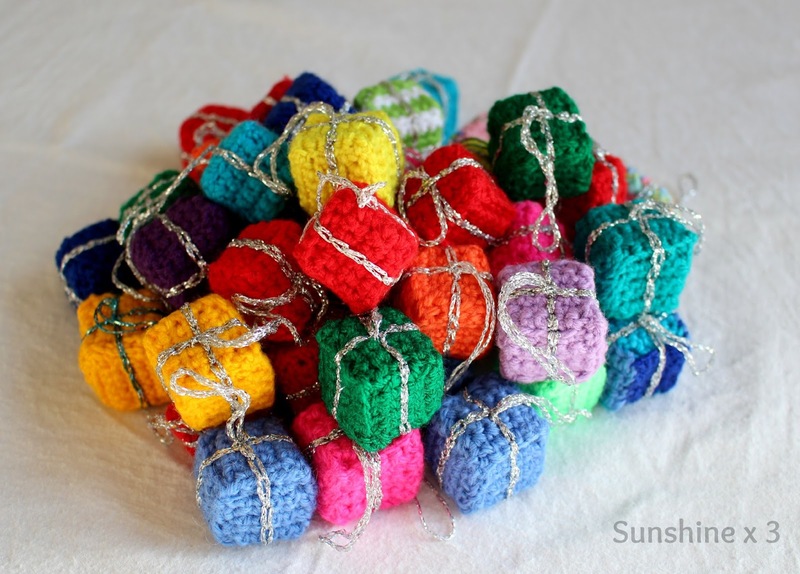 You should consider it, I think they look so good with the crochet trees you make.